We have LOTS of new Clear Stamp & download releases in the store right now, make sure you check them all out including our brand new STAMP OF THE MONTH! 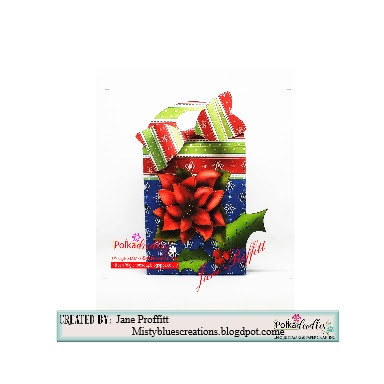 Jane P.- Using Work & Play 5 Festive Hollybobs, I used the bag template and my favorite Christmas colors to make this gift bag for those last minute or smaller gifts. Monica - I love Christmas and this is my first card for this 2017. So I chose to start my Christmas crafting with the adorable Baked with Love Gingerbread. And with a lot of very tiny images, I made a wheel card. 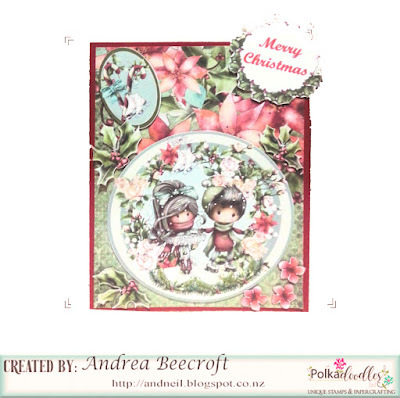 Yvonne - I used this FAB design sheet from Winnie Winterland big kahuna Bundle, I used design sheet 2 which you can find here if you want it individually. 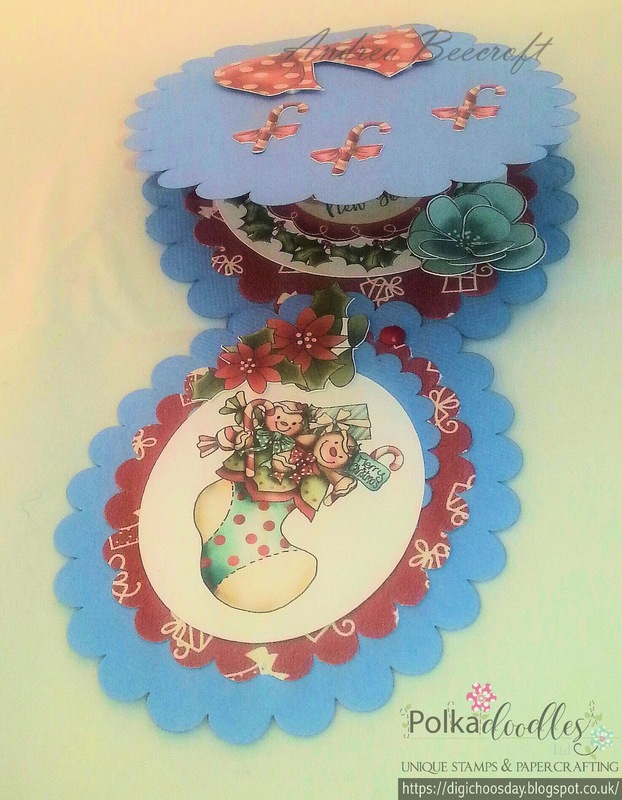 I added extra papers from the same collection. 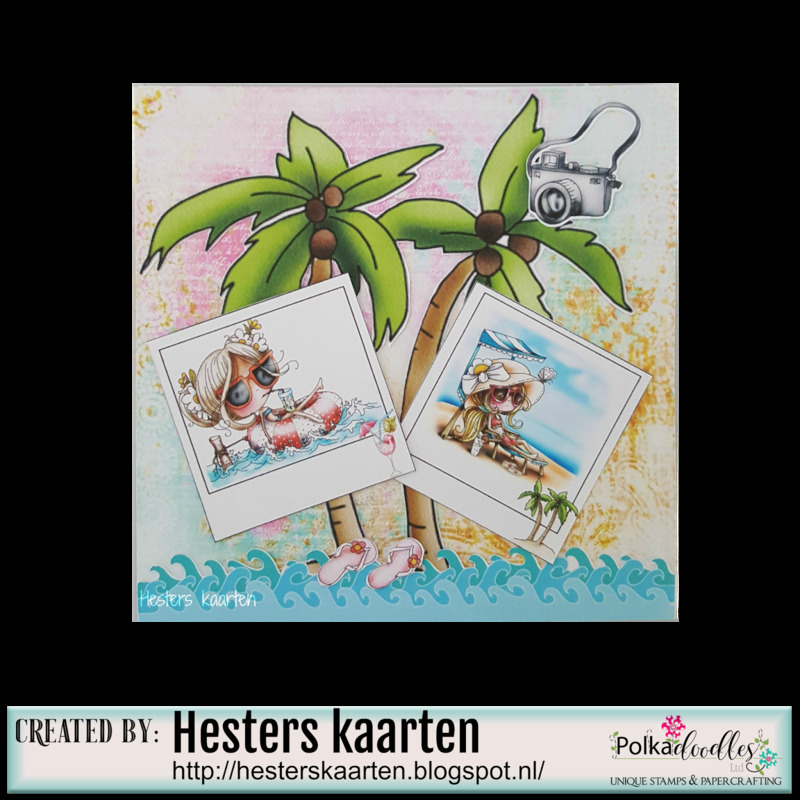 Hester - I made this lantern with Polar Friends - Winnie Winterland the threes I made 3D and is also from the Winnie Winterland collection. 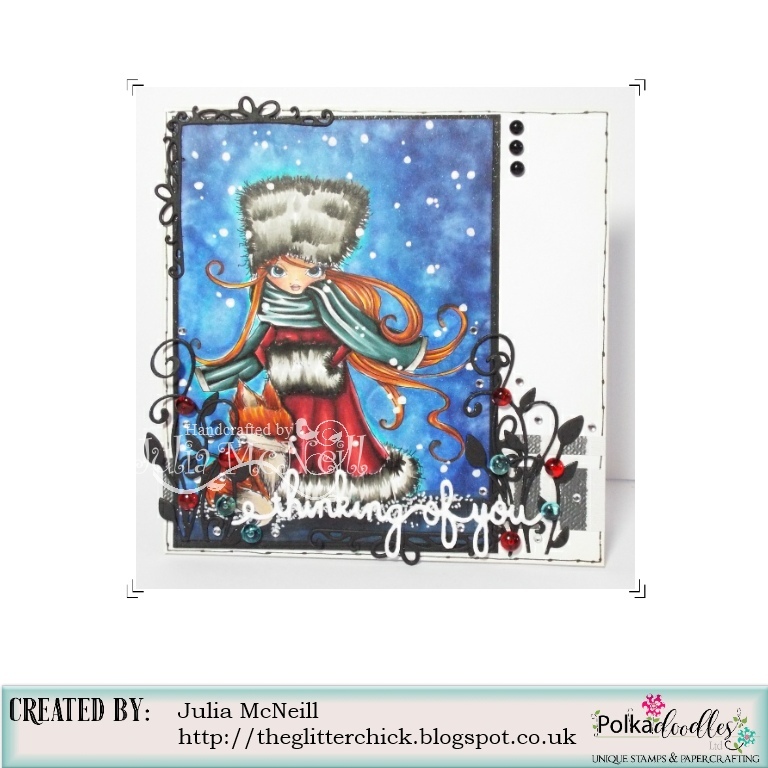 Julie - I made a Christmas card in my favourite Christmas colours of Blue and Silver, using pre-coloured images from Octavia Frosted Winter. 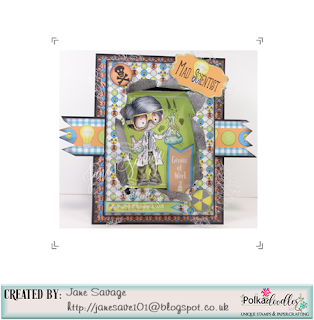 Jane S - I have used the stunning Ula Don't Listen from Ula's Life and some of the elements from the Octavia Frosted Winter Collection...the silly snowman is made from various dies. 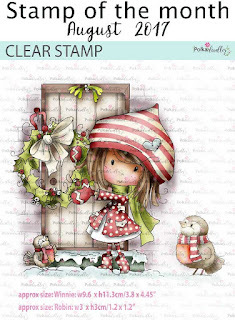 The sentiment is one of the fabulous new clear stamps that can be found here. 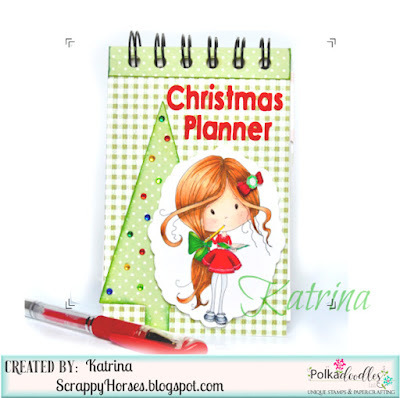 Katrina ~ Ooh, Christmas in July...and the countdown begins! 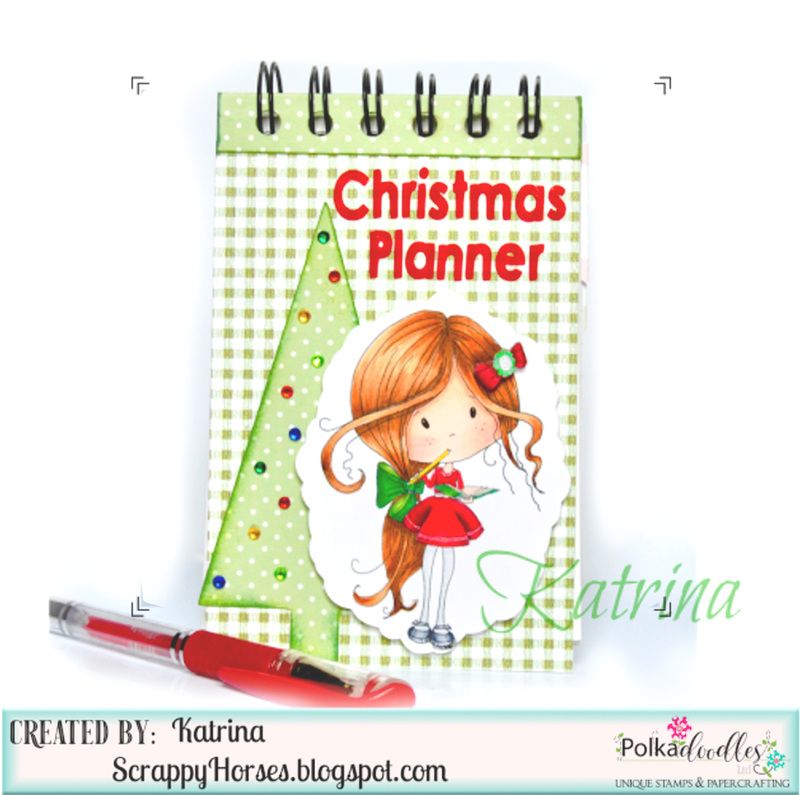 I chose to go with a tag since they are very much needed at my house come the holidays! My digi, Winter Fox, is from the Winnie in Winterland collection. 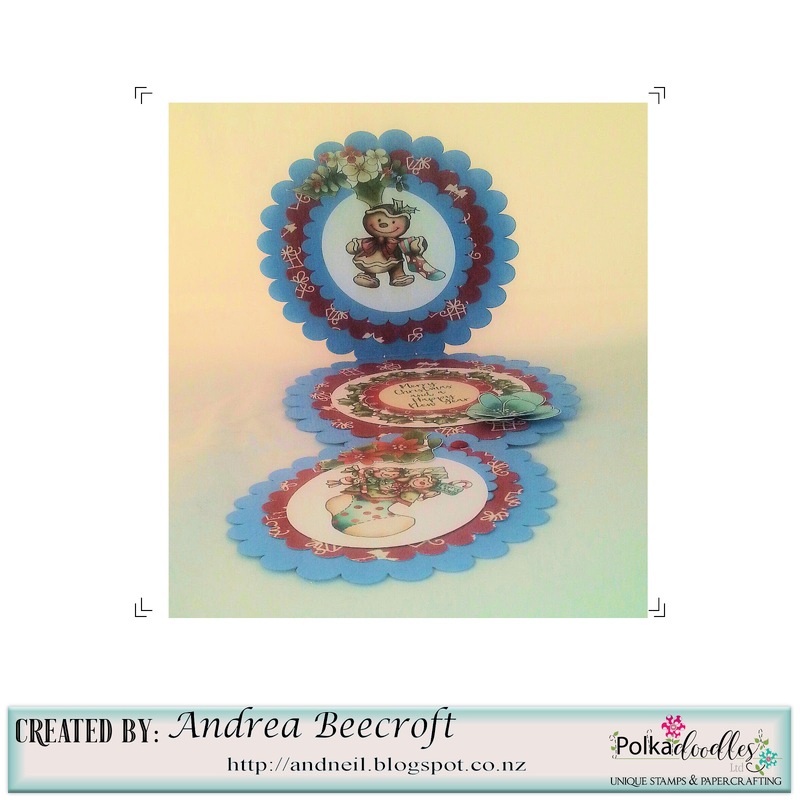 More info on my blog. Anjie - I've used the ever so cute Gingerbread lady, papers and embellies from the Winnie Winterland collection. 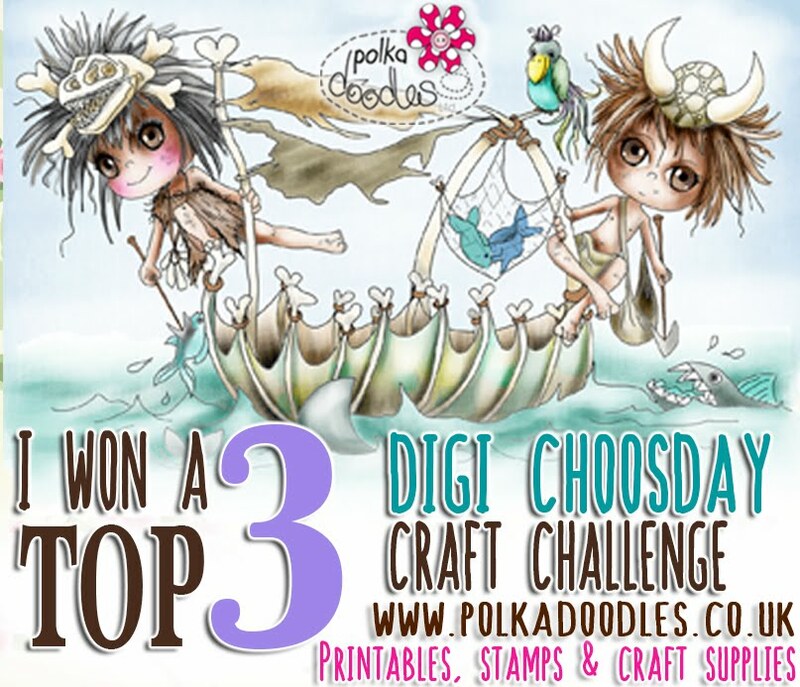 Please email us sales@polkadoodles.co.uk quoting DCW290001 to claim your prize of 3 digi images from the digi store! 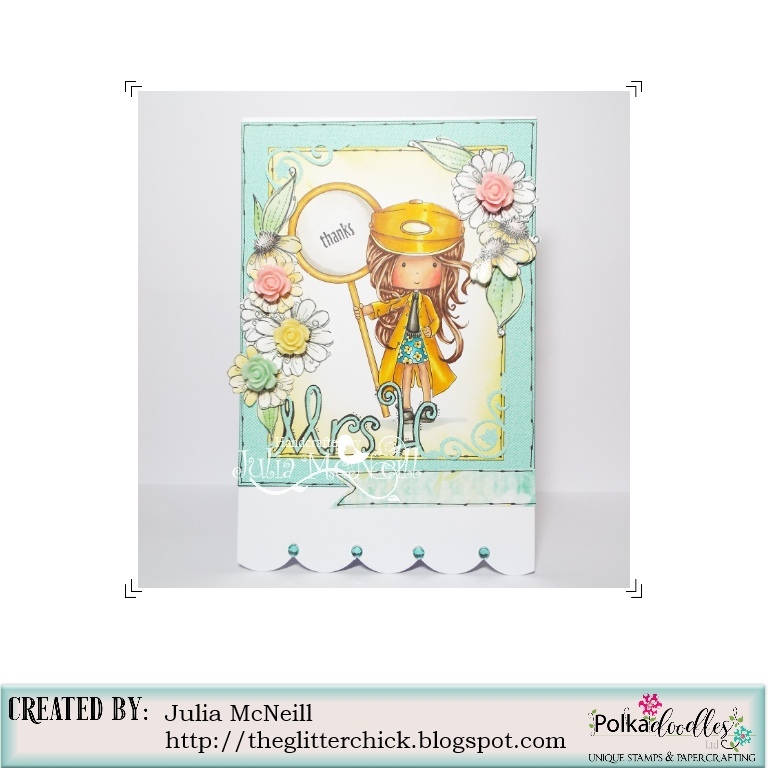 Jane P - My card this week is a bendi card using PD Dies and the newly released Lil Miss Sugarpops. 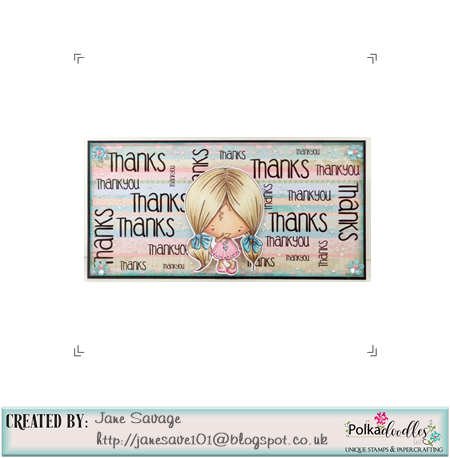 Julie - I have made a thank you card using elements from Summertime Stamp Me and papers from Helga Hippo. Monica - I think we always have a reason to say: Thank you. 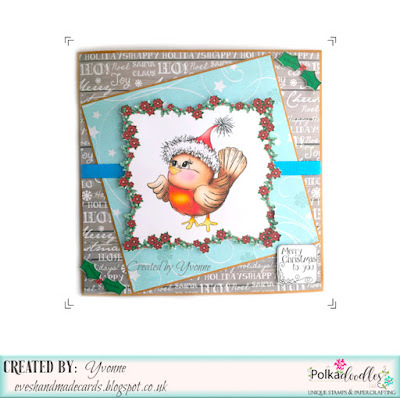 For my card, I used elements from different design sheets included in the adorable Helga Collection. Jane S - I have used the adorable Lil Miss Sugarpops Collection creating a background using one the backing papers and 2 of the sentiments. 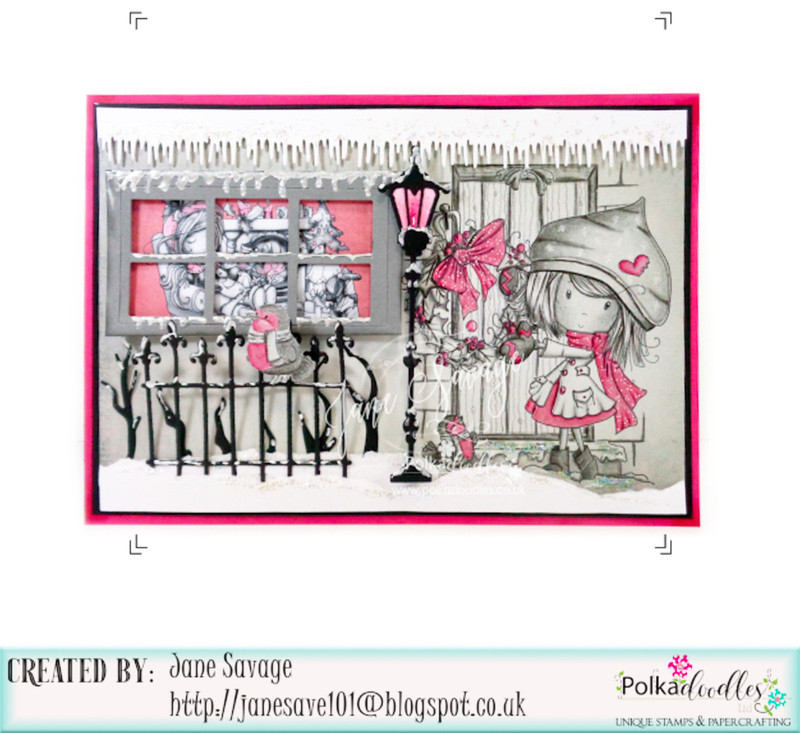 Yvonne - This week I am using L'il Miss Sugarpops Collection. I popped into L'il Miss Sugarpops #1 full collection and played with Cutie Pie, however, if you just want the singular image, you can find that here. The papers are from the same collection as is the sentiment. Katrina ~ What better way to say thank you than with some ice cream! 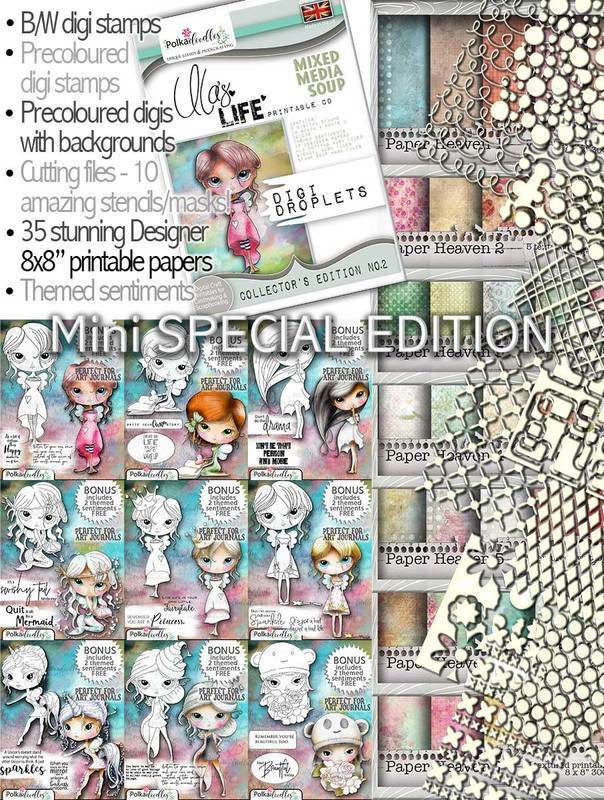 All of the papers, sentiment and digi are from Winnie Starfish and Sandcastles Collection. 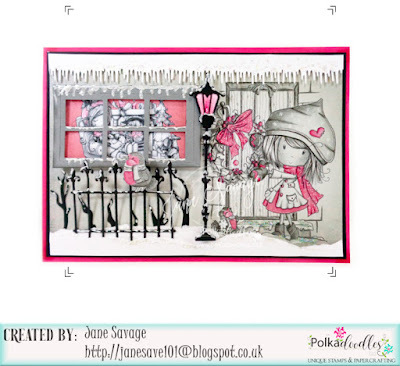 The envelope paper is from the same collection but the pattern (with a bit of modification) is from Lil Miss Sugarpops 1 or Sugarpops 2. More info about that on my blog! 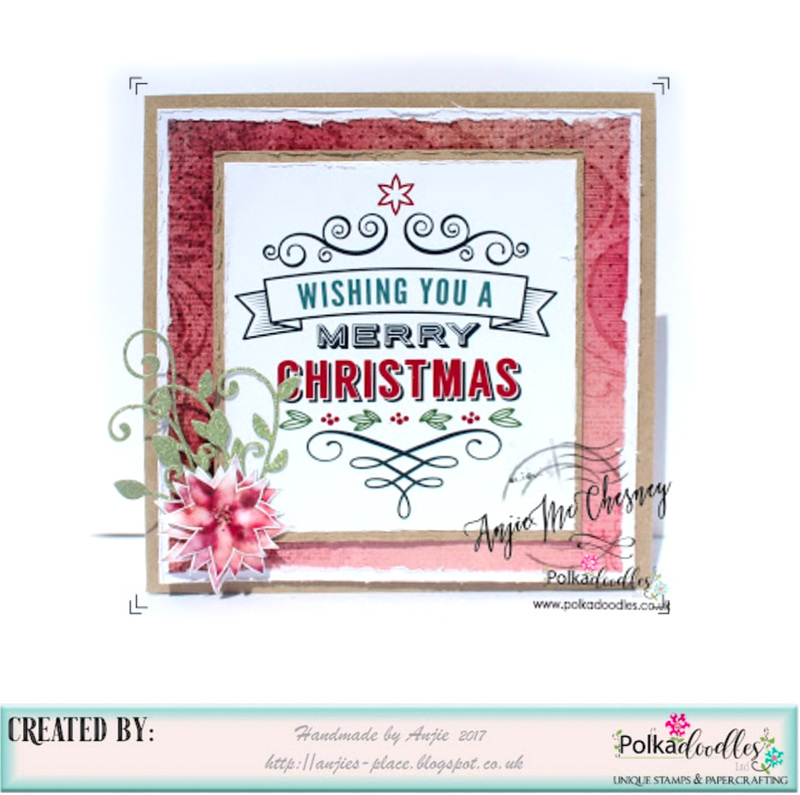 Anjie - I have used one of my fave collections for this make, it's an old one but still remains at the top of my list, and it's one I turn to many a time. 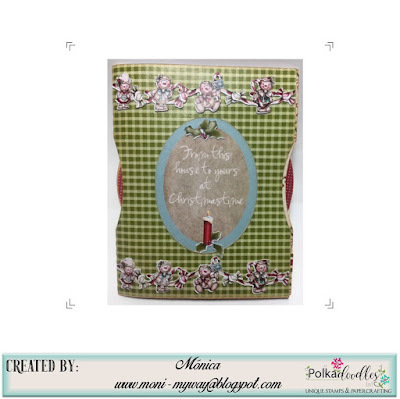 It's from the Picknix 1 collection, and from the mini Home Grown collection within it. Lots more details of how I made it, and photos on my blog. Claims must be received by 21/7/17, please refer to Challenge rules at top of blog. 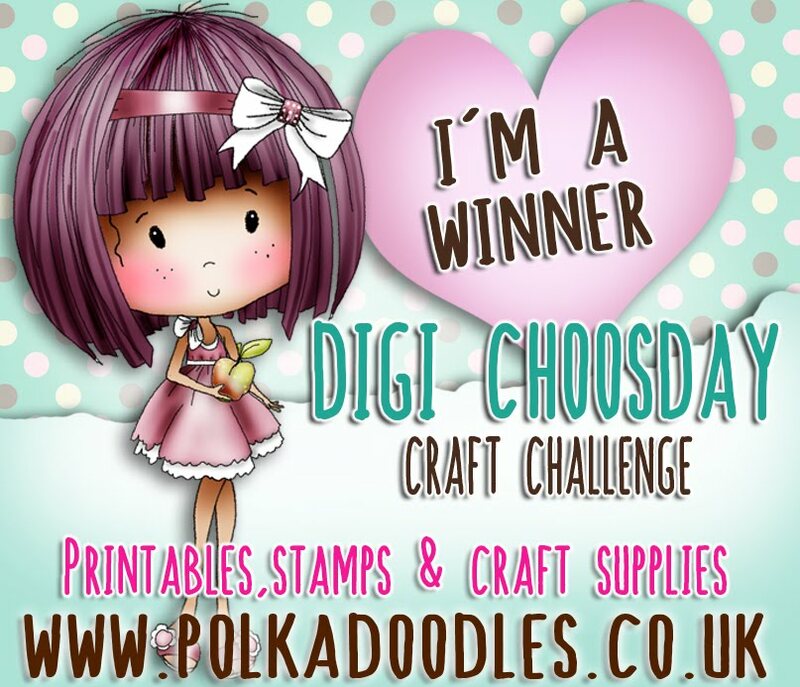 Please email us sales@polkadoodles.co.uk quoting DCW280001 to claim your prize of 3 digi images from the digi store! Andrea: For our Challenge this week I have made a 3 circle card - cut 3 different circles covered each circle with acetate to make a picture frame then attached my 3 images from the design sheet Winnie Special Moments plus I used the other elements from the sheet to decorate my card. 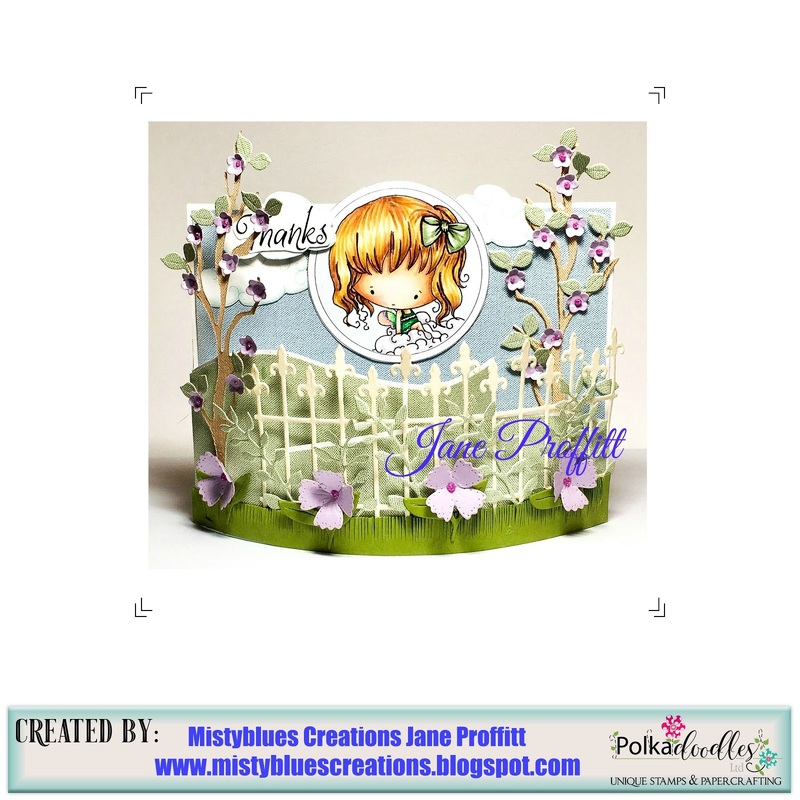 Julie - I have used the Gift of Flowers design sheet from Winnie Special Moments to make a fathers day card from my lil man to his Daddy. 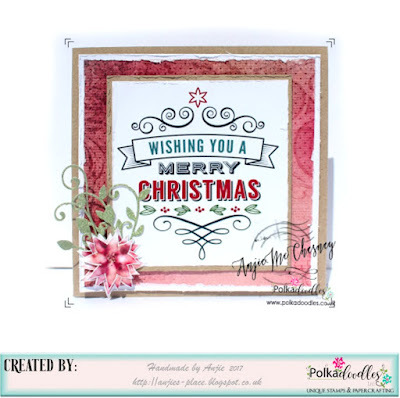 The only added element are the sentiment stickers. Jane P.- For this weeks design sheet project I decided to decorate a notepad for my pocketbook since I am always looking for paper. 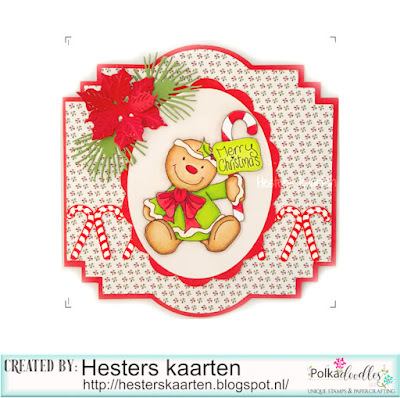 I used design sheet 1 from the Helga collection. 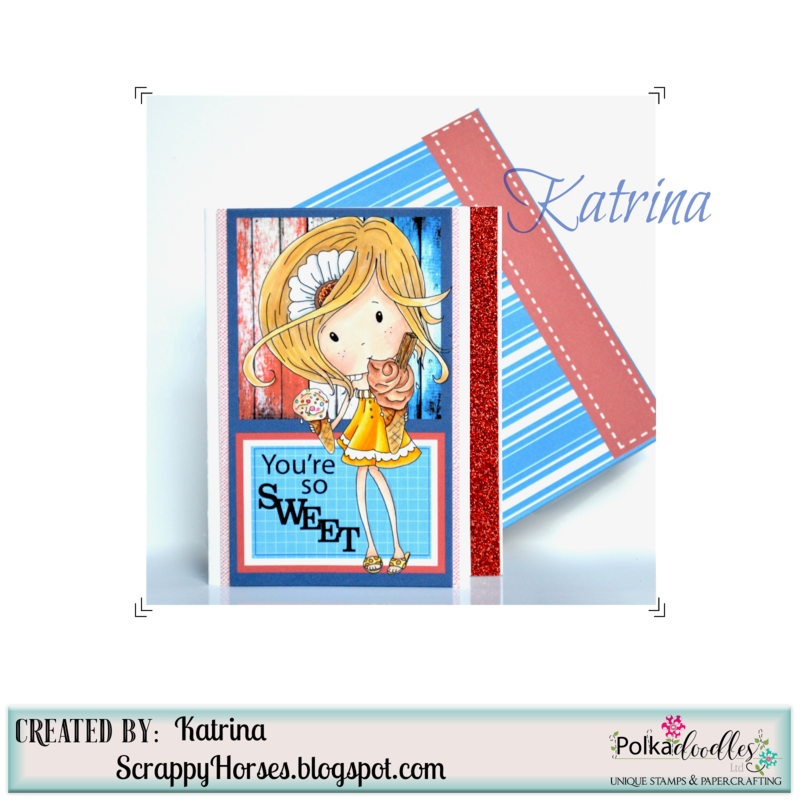 Katrina ~ Since we celebrate the 4th of July today in the US, I thought this was the perfect image for a little holiday treat tag! 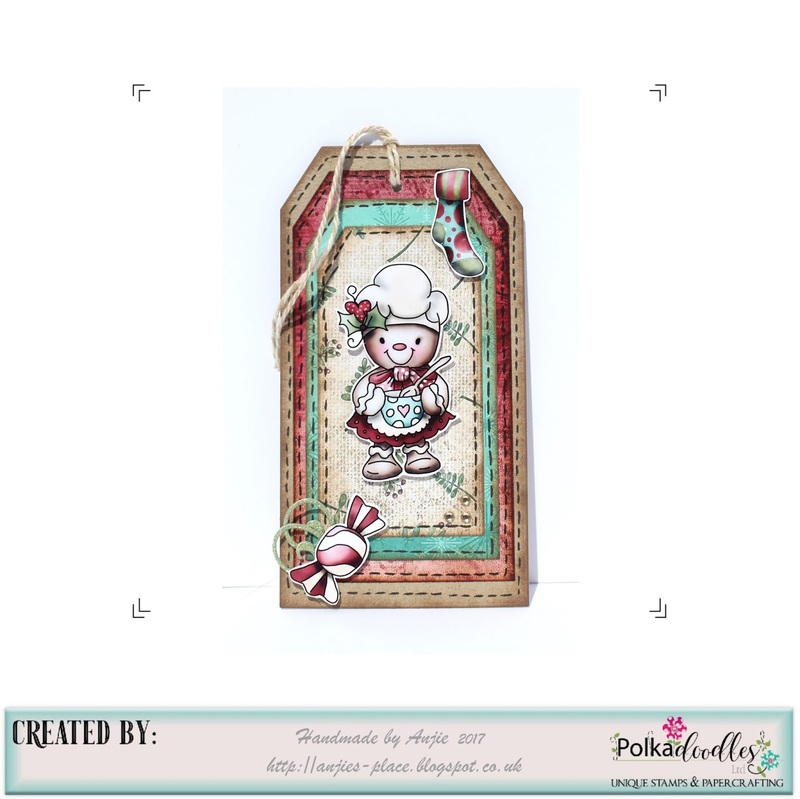 I used elements from the Polkadoodles Winnie Starfish and Sandcastles Design Sheet 9 and backed it with paper from Winnie Starfish and Sandcastles Paper 4 Download. Jane S - I have used a design sheet from the fab Work & Play 12 Collection. 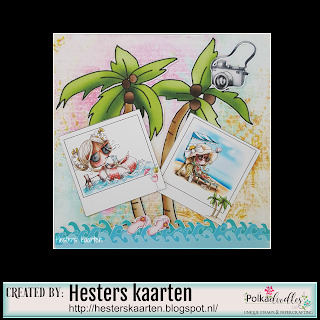 Hester - I used different sheets from the Winnie Starfish/Sandcastles collection and also the paper. 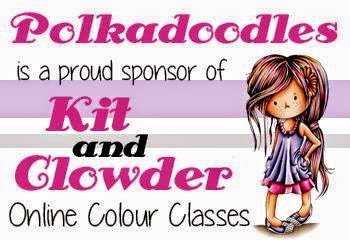 Julia .. Hi there for my make this week I have used Dance Star from the Winnie Fruit Punch collection. 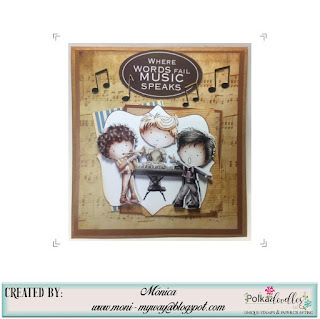 Monica.- For this challenge I chose a lovely design sheet included in Work & Play 8.-Feel the Music Collection. 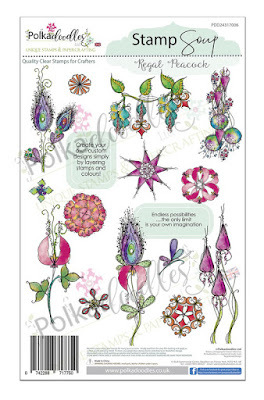 With this design sheet you have all the elements to add a lot of dimension to your image with all the decoupage elements included. Yvonne - Hello! 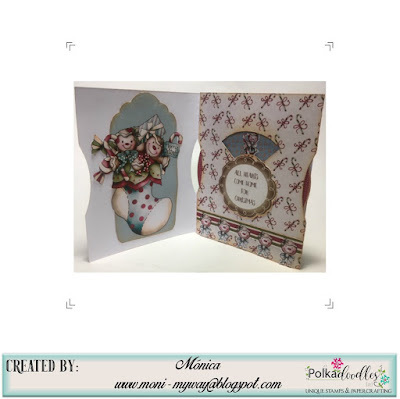 I used design sheet number 2 in the main collection of Winnie - Special Moments for this card. 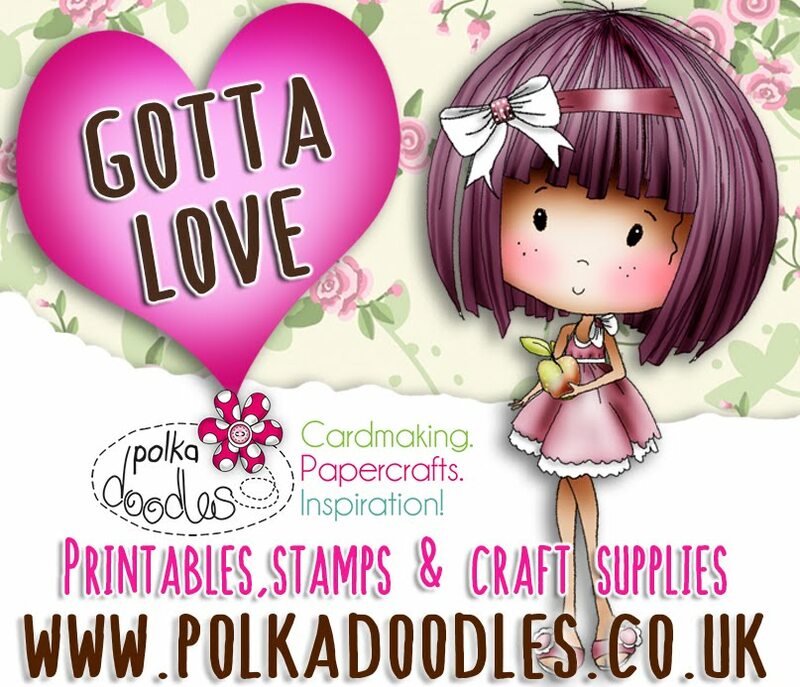 However, if you just want the design sheet - you can get it here. 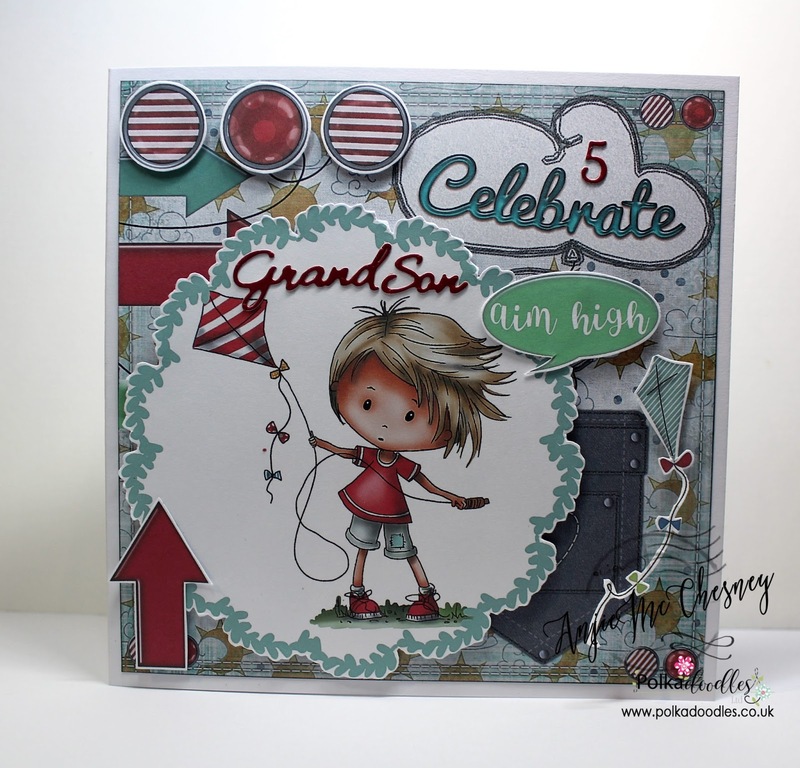 I added one extra paper from the same collection and then just had fun designing a carefree fun card. Željka-Hello!! 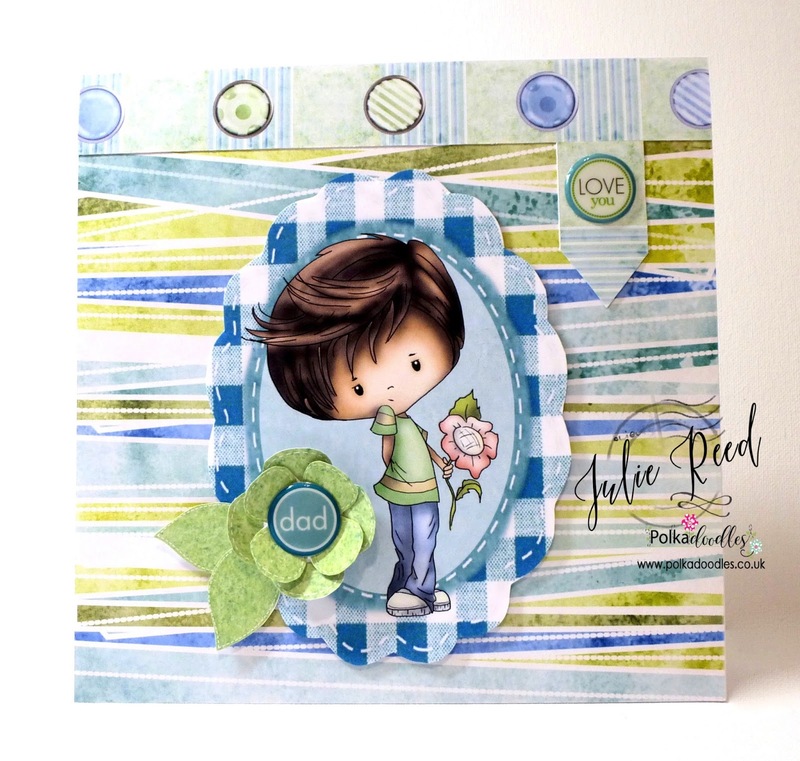 !For this week challenge I use Winnine Fruit Punch collection and I decide to work with Honey Buzzy Bee design sheet. 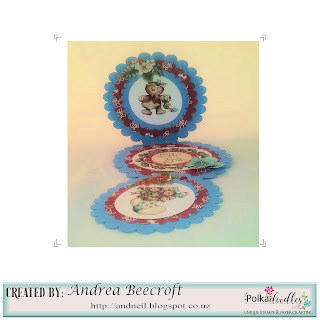 Anjie -I have used the Winnie Special moments collection. 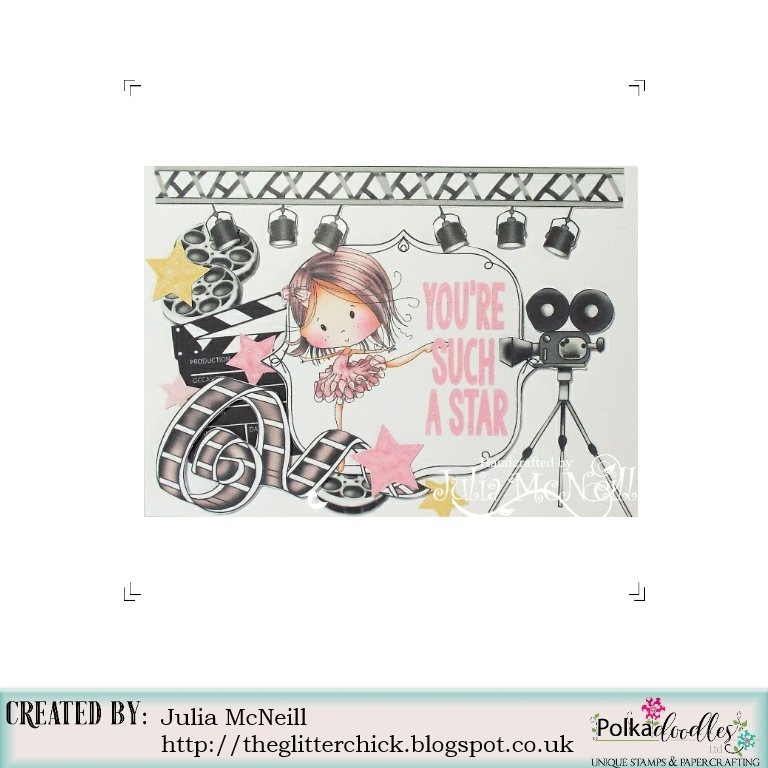 This is design sheet number 11 which you can buy on it's own here if you wish. 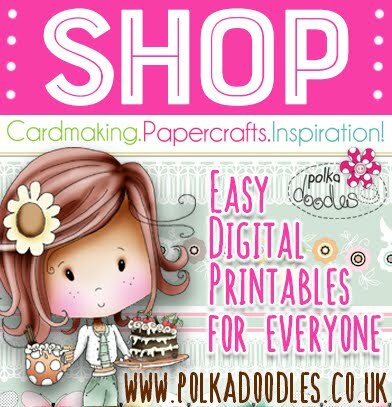 Please email us sales@polkadoodles.co.uk quoting DCW270001 to claim your prize of 3 digi images from the digi store!